As mentioned in my last post, a friend of mine publishes our local magazine “Tickhill Today“. I wrote a follow up to the article from last month, that will appear in the next issue, and have published it here too. The important thing to notice is the time and date of the next fundraiser!!! 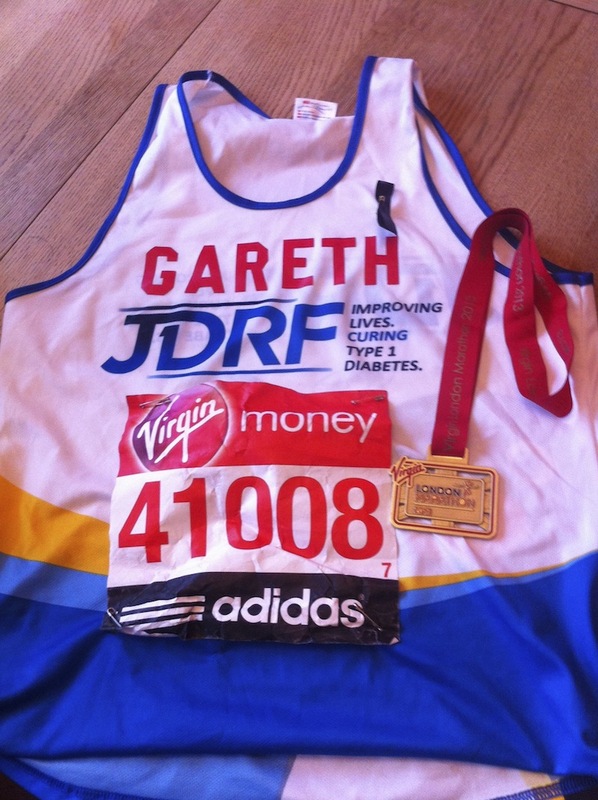 You may remember in last months issue, we told you about Gareth Rowbotham’s attempt to run the London Marathon for JDRF (Juvenile Diabetes Research Foundation). On Sunday 21st April, he did just that, but only just! It took 5hrs and 40 minutes but he has the finishers medal to prove it. Now comes the next challenge – the fundraising! Thanks to everyone’s generosity, he has raised over £1000 already! And to get to his target of £1800, will be having a coffee morning at the Parish Rooms on Wednesday 12th June from 10-12pm. Please come along and support this excellent cause, if you can!